Austria is one of the eleven richest countries in the world in terms of GDP. The country has a high standard of living and a well-developed social market economy. Austria's economy is dependent on international trade, looking back over several successful decades. Since 1980, the exports of products in the country have experienced a sevenfold increase from 16 billion to 117 billion! Nowadays, Austrian companies generate five of ten euros on overseas markets. What is more, every other job is related directly or indirectly to the export industry. What are the main exports of Austria? Export is regarded as vital to the economy of Austria. Main export products are motor vehicles and parts, machinery and equipment, paper and paper board, metal good, chemical products, iron and steel, textile products and foodstuffs. Despite being only a small wine growing country, the country has acquired an excellent reputation for giving the world some top-scoring wines. The country's leading commodities account for two-third of the total export volume. Austria exports most of its goods to the EU countries (mainly Germany). Interested in exporting from Austria? The Export Portal directory allows you to search for a wide range of Austrian prominent export companies and suppliers, their numerous quality products and services. You can either browse by selecting an industry category or simply enter a keyword into the search bar. Export Portal will help you also promote Austrian products and services to overseas buyers through its website. 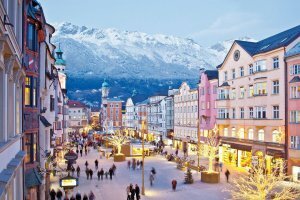 Austria is a well-developed market economy with a high standard of living. 8 million consumers in Austria benefit from the market-oriented economic policies, with few restrictions imposed. Being the member of EU, the country refers to European regulations on import, packaging and customs duties. Import licences are usually required for a range of products that include agricultural products, tobacco, salt, war materials and poisons. Free-trade zones in Austria are located ar Graz, Bad Hall, Vienna and Linz. Austrian imports show a strong presence of German products, followed by imports from Italy, Switzerland and Netherlands. The top import products include: motor vehicles, metal goods, oil products and foodstuffs. Would you like to import products or services to Austria? Or are you an exporter interested in the Austrian market? Export Portal promotes Austrian and international businesses to improve the foreign trade. On this export/import platform you can find selected trading companies all over the world to ensure that importing in Austria runs smoothly. Find global buyers and explore new markets. Austria is a dynamic European Union member trading regionally and covering several markets in Central and Eastern Europe and in the Balkan countries. In accordance with its European Union membership, Austria applies the EU rules that are in force in all European Union countries. While the EU has a rather liberal foreign trade policy, there is a certain number of restrictions, especially on farm products, following the implementation of the CAP (Common Agricultural Policy). Austria has no foreign trade zones. It has only two customs warehouses in Vienna and Tyrol province, where products of foreign origin may be stored without paying any customs duty.